Well-balanced meals, including fresh fruits and vegetables, are served family style in the dining hall. Food supplies are delivered weekly to the boat launch ramp at Loon Lake. We load everything aboard the camp boat and transport it down lake to Deer Crossing Camp. While the camp kitchen looks like a regular kitchen, our wilderness location means we use no electric appliances and dishwashing is done by hand. With limited refrigeration and storage space, we cannot accommodate special foods for individual campers. 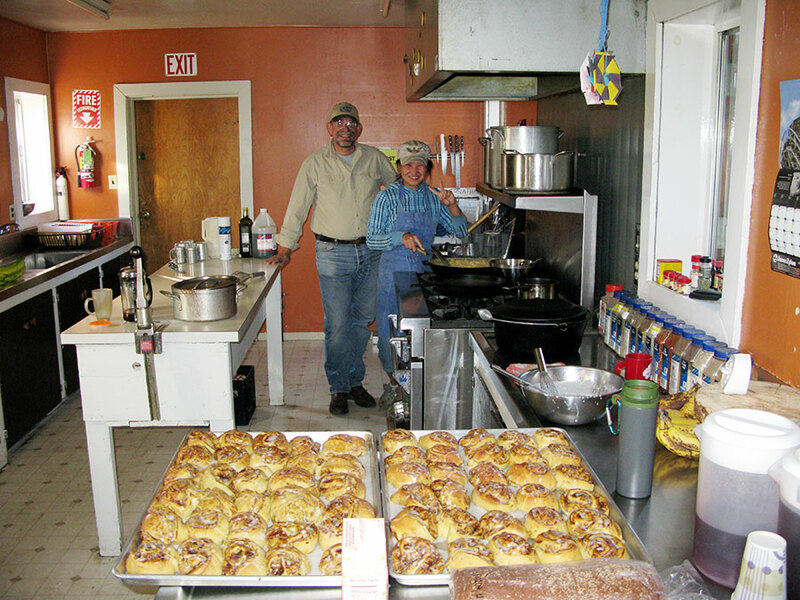 Our cooks turn out delicious meals, with vegetarian, gluten-, dairy-, egg-, and nut-free options as needed. However, we cannot guarantee that our kitchen is allergen free. Breakfast may include scrambled eggs, fruit, sausage, pancakes, cereal, oatmeal with toppings, French toast, juice, and hot chocolate. Lunches range from grilled cheese sandwiches and tomato soup to make-your-own burritos. 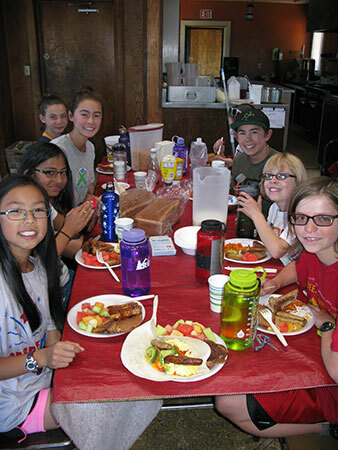 Campers’ favorite dinners are often spaghetti with garlic bread and salad, and pulled pork with broccoli and cornbread. To keep everyone healthy, we offer salads and fresh vegetables, and creatively add kale to the most surprising dishes. In place of soda machines and candy dispensers, the kitchen always has bananas, oranges, apples, or other fresh fruit for between-meal snacks. If there is interest, the cooks teach campers how to make bread, chocolate chip cookies, and other foods for all to share.